Edmodo is an educational social platform that Midway ISD has been utilizing to effectively communicate with students and parents. Edmodo for parents allows for parents to stay informed of what is going on in their child’s classrooms such as seeing homework assignments, homework submissions, teacher announcements, and more. 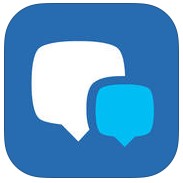 Edmodo, as of January 28, 2015, released an app for parents. Through the app, parents will now have an easier and more simplistic view of their child’s classes and the information being shared out. Below you will find information about the app and a link to download it. Click below to download the App today.